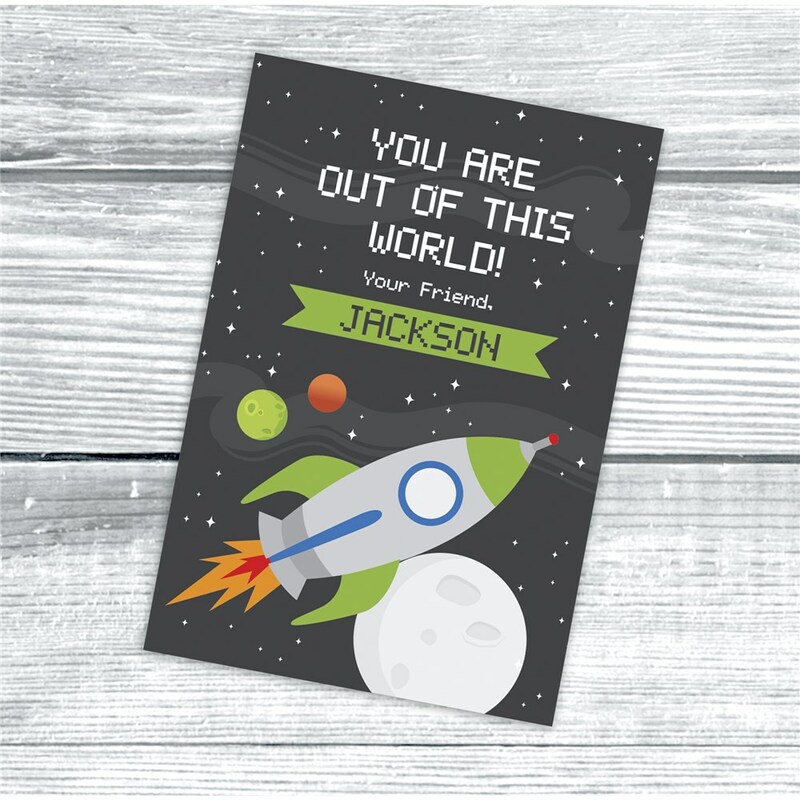 Your Valentine's Day Exchange Cards will be out of this world when you pass along these personalized cards. We will print any message along with any name on each card to create a thoughtful Personalized Valentine's Cards For Kids to exchange. Card measure 3.5" x 2.5" printed on premium heavyweight card stock.